Several long running rumors suggest that Sony is preparing itself for a competition with Oculus VR by working on a virtual reality headset for PlayStation 4. The future of gaming seems to be near and virtual reality headset is an example, this device would push the gamers into a whole new world of games. Oculus VR is the first one to make this possible with its virtual reality headset that was announced at this year’s E3. Sony is also working on virtual reality headset of its own that is rumored to be announced soon. The company have been experimenting with virtual reality headset and games form quite some years now and sources suggest that Sony has already demonstrated the virtual reality headset with an up coming PlayStation 4 game, Driveclub. Evolution Studios is also said to be working on an ultra-realistic cockpit view in Driveclub. 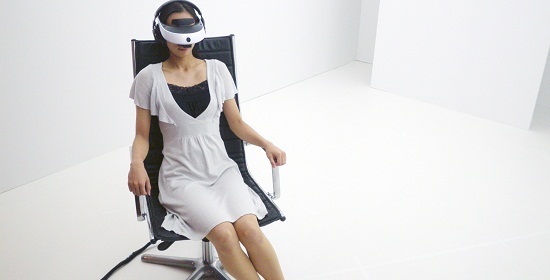 Using Sony’s virtual reality headset, the view would completely immerse the player and will provide a real-time feeling of driving a car. Sony’s virtual reality headset is apparently being developed for use with PlayStation 4, it would boost up the PlayStation 4 gaming experience. There have been various rumors about when Sony would publicly announce the virtual reality headset but there have been no official confirmation yet. However, according to various reports, Sony’s virtual reality headset would be coming in 2014 and the company is very close to its announcement. These reports have led to rumors and speculations that Sony might be announcing its virtual reality headset during Consumer Electronics Show 2014. The announcement would possibly come from CES 2014 Tech Titans keynotes, a series of keynotes in which “CEOs form the most powerful companies in technology present their vision for revolutions in products, services and networks.” Sony CEO, Kazuo Hirai is also one of the CEOs who will be delivering their keynote addresses at CES 2014. Apart from Sony’s new displays and high-end smartphones, PlayStation 4 is the biggest thing that company can currently talk about. PlayStation 4 release broke company’s sales record and people are talking a lot about it. To keep it that way and to support the PlayStation 4 even more, it is likely that the company would talk more about games at next year’s CES. At CES 2014, Hirai would talk about the Sony’s sales figures and what role is company playing in pushing new hardware innovations forward, and what is the company’s contribution in the biosphere of latest technologies. Many think (and rumors suggest) that this could be a great opportunity for Sony to announce and showcase its new virtual reality headset and claim itself to be the first one to compete with Oculus VR. Sony is already very familiar with head-mounted displays, the company has already released two head-mounted displays for public. HMZ-T2 is the company’s latest personal head-mounted 3D viewer, it features an OLED 720p panel for each eye and 5.1 virtual surround sound. So the virtual reality headset would not be something very new to the company. 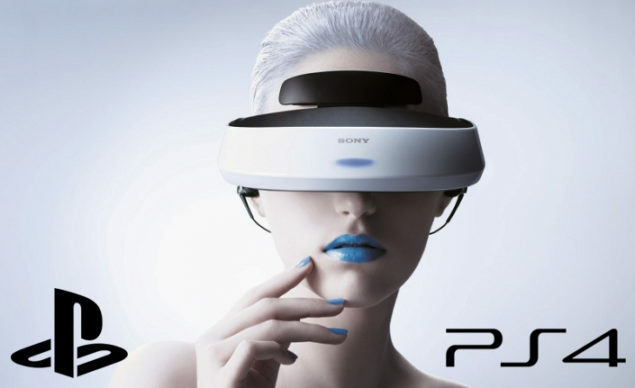 If Sony is really planning to announce its virtual reality headset, then CES 2014 is the best place to do it, as this is where all the companies would give their keynote addresses about their “vision for revolutions in products, services and networks”. Do you think virtual reality headsets would bring a revolution in gaming industry? 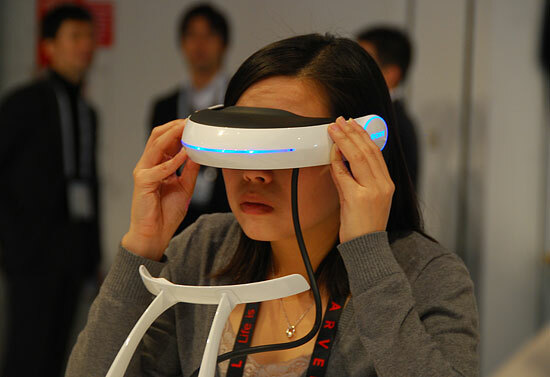 Would you like to see Sony’s virtual reality headset for PlayStation 4 at CES 2014? Share your thoughts on the matter in the comments below.